Joseph is the youngest of three, born to a single mother. Both of his older siblings were not able to finish their high school education, with disastrous results. His older brother began abusing drugs, and his sister was married at the age of 16. His mother is a day laborer who earns a living by taking seasonal jobs on nearby farms. When we met her, she was barely able to put food on the table and pay the rent, let alone send Joseph to school. Despite these obstacles, Joseph has always been a devoted student. Though he missed quite a bit of his first two years of high school, he was able to maintain a very impressive B- average. 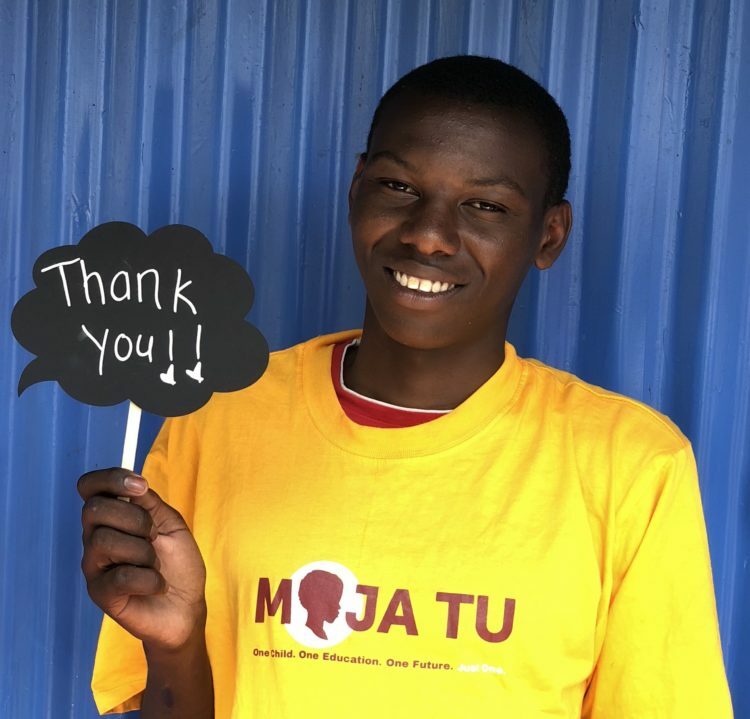 After being sponsored with Moja Tu for his last 2 years of secondary school, we are proud to report that Joseph has now graduated from high school, with a KCSE score in the top 15-20% of the country. We are incredibly proud of the achievements Joseph has already made, but his academic journey isn’t over. He’s looking forward to moving on to university in May 2019, but will need the support of a sponsor to help him continue his schooling. Please help this deserving and dedicated young man get the education he needs by sponsoring him today! Sponsoring Joseph is $100/month, or $1,200/year. Thank you for sponsoring Just One!